Speaking of Vogue...I had to share this iota from the massive tome that is this year's American September issue. Tomboy icon and J.Crew creative director Jenna Lyons noted Tomboy Style as inspiration for their Fall collection! What!? 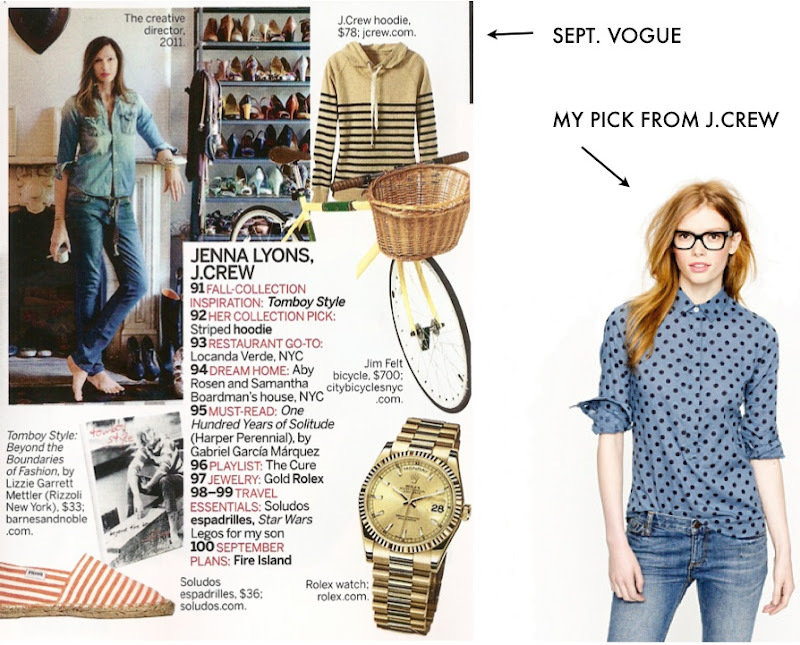 My Fall J.Crew pick is definitely this Jacquard dot popover ($88), definitely buttoned to the top. That's so exciting! And I am loving that top you picked! I have that shirt in white and love it. When I see it on other chicks I tell them to button it all the way up. what an honor! congratulations. love your blog! Wow! That has to be the ultimate compliment. Congrats!